Last edited by Prof.Enigma; 06-18-2018 at 02:55 PM. Alright. As much as I loved the idea, and kinda still do, there still remain a few unavoidable facts that, for me, there are just no way around here. One, when I forced myself to actually take a moment and think about where I was actually going with this, I came up empty, and have continued to do so to this day. Two, any attempts on my part to have them interact with the rest of the team have, to me, just seemed forced. 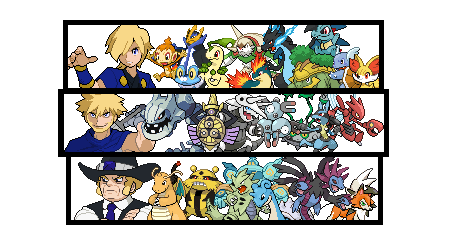 And three, I could stand to trim just a little bit off of the massive number of Pokémon I have. Attacks: Tackle, Sleep Talk, Focus Energy, Take Down, Rollout, Incinerate, Rage, Crossfire, Fire Fang. A spontaneous venture into the labyrinthine Maze Valley led to Keith discovering a quartet of unusual Eggs. Three of these Eggs were blocked off from him by an unknown force, while the fourth one hatched on the spot into a swift and energetic Darumaka. Blinky is full of energy, and loves to chase things. Whether he's able to catch up to said things is another matter altogether- he's not quite as fast as he'd like to be. He gets along reasonably well with his teammates, especially Inky, though seems to frequently allude to a brother and a sister that have yet to hatch, and seems to be awaiting their arrival. In battle, he seems to prefer outspeeding and overwhelming the opponent. Attacks: Tackle, Heat Wave, Rollout, Zen Headbutt, Submission, Incinerate, Rage, Metronome, Sucker Punch, Fire Fang. Blinky led Keith back to Maze Valley, just in time to see one of his fellow Darumaka hatch. Inky is rather unpredictable, reminding Keith a bit of his very first Darumaka to some degree. Sometimes he emulates his brother Blinky, being all about speed, though at other times he exhibits sneakier behavior, and at other times, seems to enjoy playing dumb. This makes him unpredictable and dangerous to face in battle, as it is pretty hard for opponents to read him. He gets along with most of his teammates, particularly Blinky, and for all his unpredictability, has yet to disobey Keith in battle. Attacks: Tackle, Sucker Punch, Rollout, Incinerate, Rage, Fire Fang. A third visit to Maze Valley ended with Keith acquiring a third Darumaka. Clyde is a crafty one, often feigning cluelessness, ignorance, and stupidity- and quite convincingly, too- in the aims of making his opponents underestimate him. And make no mistake, an opponent who underestimates Clyde is in deep doo-doo. Lv.1 Female Bonsly up for trade! Said little Bonsly also knows Headbutt! And as for trading preferences, I accept pretty much everything, but I put priority on pokédollars and whatever things that's in my Memakyu/Emakiss! Last call for Female Bonsley w/ Headbutt! Tomorrow if there's no new offers, I'll wrap her up with a bow and off for trading! I'll wait for Tate to reply before I do anything now. 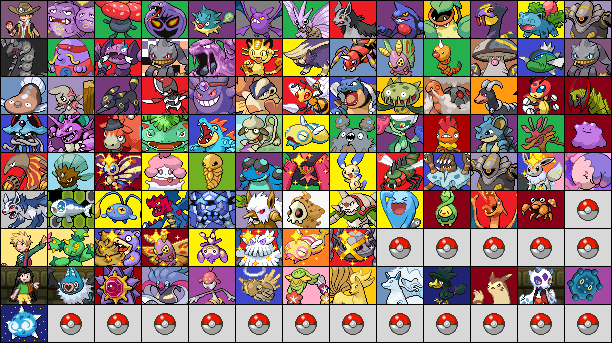 Didn''t you just get rid of a bunch of Pokemon because you didn't have time for them? I can't afford to go higher so I guess I'm out. Alrightie then, trade goes to kawaii! I'll start up the trade in a bit. At this point, I have gotten no offers for the Darumaka. I would like to reiterate at this time that while I would give priority to those who wish to keep the whole Pac-Man ghost theme going, I would have absolutely no problem splitting them up and giving them to separate Trainers who wish to do their own thing with them instead. Lv1 Male Starly with EM Pursuit up for trade! Last call for the trio of Darumaka. Any of them that have not gotten any offers by the time I wake up in the morning will be dropped off in the Adoption Center. 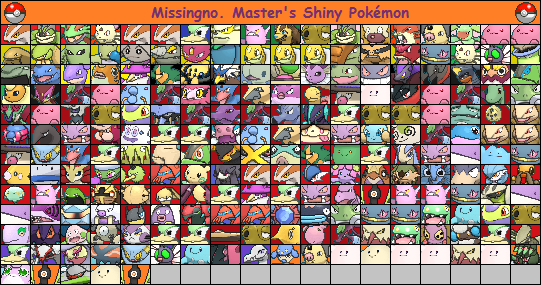 Last edited by Missingno. Master; 07-29-2018 at 09:14 PM. Alright so I’m not really a poison guy and this thing has caused Jayson enough pain as is (also don’t want Moros getting to it again). So I have something very special up for grabs! I like candies, gummis and those pretty heart scales but if you could offer me something on my Memakyu (or close to it) you’d be in for a good shot. Since this is quite a coveted item I’ll be leaving bidding open for a while to make sure everyone gets a chance. I could breed you a Feebas? 10 candies + 20 basic gummis + Magical Snorunt Plushie + Never-Melt Ice for the Poisonium Z.